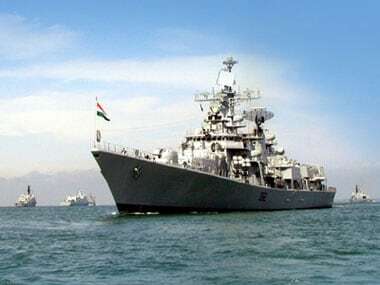 The Indian Navy successfully completed a six month long overhaul of a 32 year old Mauritius Coast Guard Ship, Guardian as a part of its diplomatic outreach. 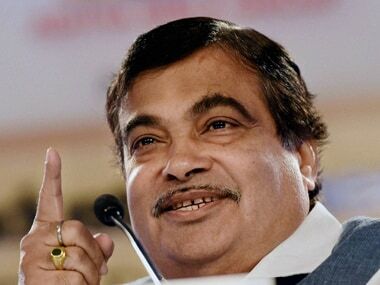 Defence Minister Manohar Parrikar on Monday indicated that one of the reasons for tipping over of guided missile frigate INS Betwa during undocking at Naval Dockyard in Mumbai could be "miscalculation of balance." 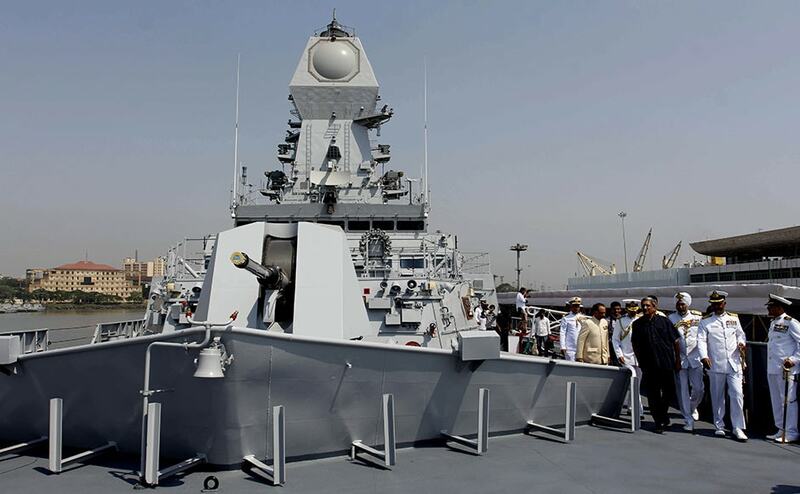 Naval warship INS Kochi, which was commissioned by Parrikar at Naval Dockyard in Mumbai on Wednesday, is the second ship of the indigenously designed and constructed Project 15A (Kolkata-class) guided missile destroyer, built by Mazagon Dock Shipbuilders. 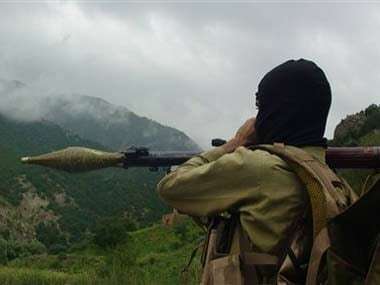 Pakistani Taliban's Sindh unit was involved in a foiled terror attack at a Naval dockyard in Karachi. 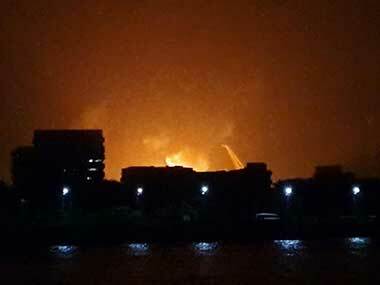 Three people including a navy personnel on Friday received burn injuries after a fire broke out onboard INS Ganga, which was going through routine maintenance and refit at the Naval Dockyard in Mumbai. 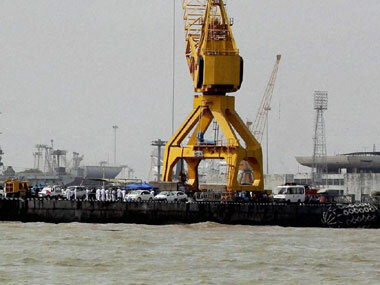 The incident occurred when steel welding work was going on in the sewage treatment compartment around 3 pm and some insulating material in an adjacent compartment started smoldering and emitting thick smoke. 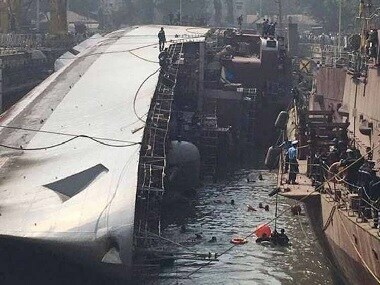 Naval divers on Friday found bodies of three naval personnel from the ill-fated submarine INS Sindhurakshak which exploded and sank at the Mumbai dockyard early Wednesday. 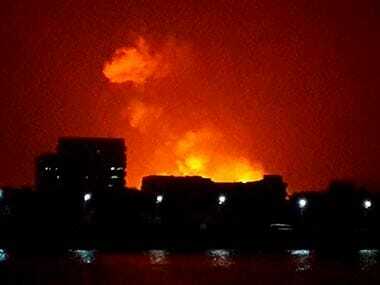 The fire had been preceded by a huge blast shortly after midnight on the INS Sindhu Rakshak submarine.